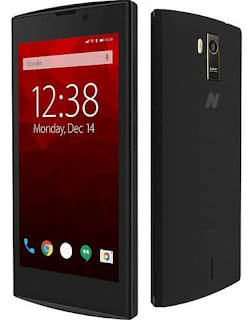 Spice Mobiles has launched the Nexian NV-45 smartphone in India in partnership with Flipkart. The Nexian smartphone brand promises to deliver high utility technology features at an affordable price tag of Rs. 3,799. The dual-SIM Nexian NV-45 boasts a 4.5-inch FWVGA Dragontrail display and is powered by a 1.2GHz Spreadtrum SPRD7731 Quad-core processor and Mali-400 MP2 GPU for graphics. Paired with 1GB of RAM, the smartphone offers 8GB of internal storage, which is expandable up to 32GB via a microSD card. Running on Android 4.4.2 KitKat operating system out-of-the-box, the handset is fuelled by a 1,650 mAh battery. On the camera front, the Nexian NV-45 sport a 5MP AF rear camera with Dual LED flash support and a 3.2MP front-facing camera for selfies and video calling. Connectivity-wise, the dual-SIM (WCDMA + GSM) smartphone supports 3G HSPA+, EDGE, Standard Wi-Fi, Wi-Fi Hotspot, Bluetooth v2.1, Micro USB 2.0 and a 3.5mm headset jack. Priced at Rs. 3,799, the Nexian NV-45 is exclusively available to buy on Flipkart.com in two different color variants i.e. Black and Grey.